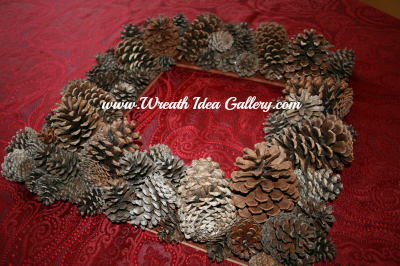 Enjoy browsing the different wreath designs here at the Wreath Idea Gallery. 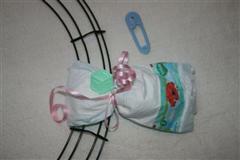 Fun ideas been contributed to this site by wreath lovers just like you. This is the place to see creative designs and get ideas for your next project. Wreaths can be used to decorate for every holiday and season, and there are wreaths for just about every occasion or space you can think of. Easy to decorate with, you just hang and go and you are done. 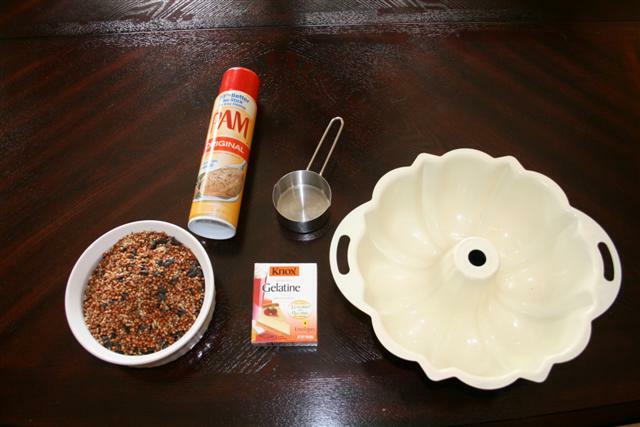 Easy to make, with easy to follow instructions most are fairly simple to make and do not require many supplies. Easy to store. Take it down put it in a wreath box or wreath container, and you are done. is that there are so many to choose from. But, this is also the FUN part. Need a baby shower gift or decoration? How about college wreath to show your team spirit? 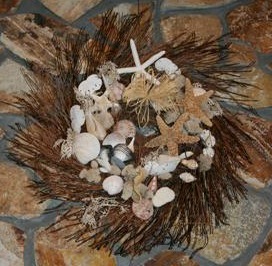 A seashell wreath to decorate your beach house or garlic wreath to hang in the kitchen? 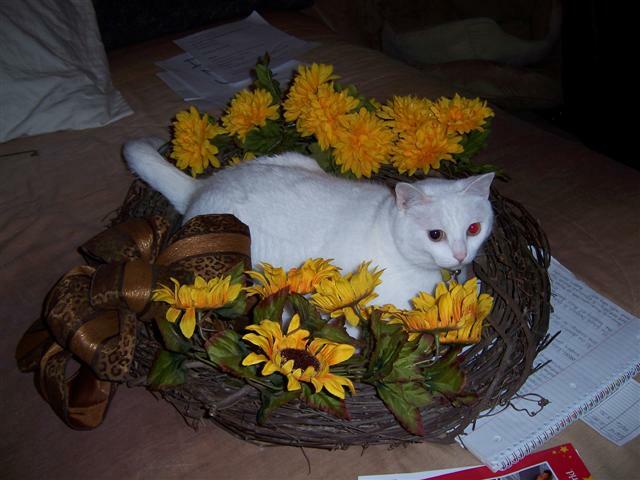 According to Wikipedia, “A wreath is an assortment of flowers, leaves, fruits, twigs or various materials that is constructed to resemble a ring”. It is amazing to see the creative wreaths that can be made out of various materials these days, from bird seed, garden hoses to candy! 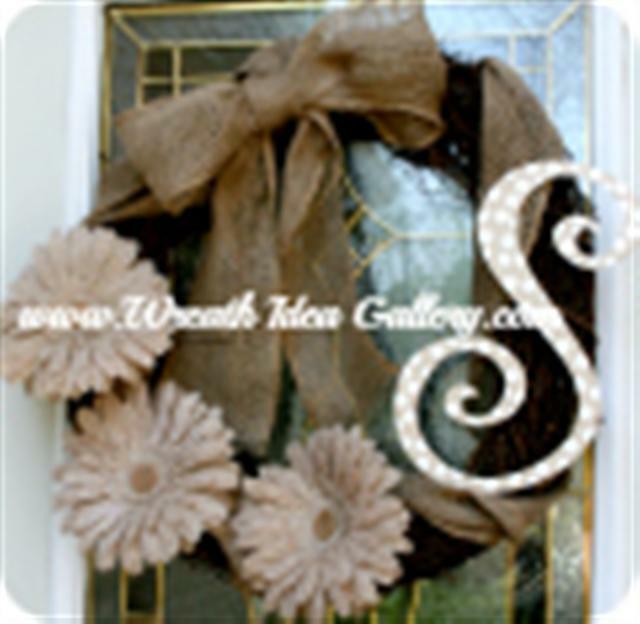 Here at The Wreath Idea Gallery there is an amazing collection of many beautiful styles and designs that you can get ideas to make your next wreath. f you need a decorating idea for yourself or a gift for a friend you will be able to find many ideas here. 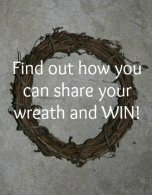 If you have made a beautiful wreath and would like to submit it for others to enjoy, this is the place, Show & Tell for wreath ideas!